Do Women Wear an Engagement Ring in Asia? 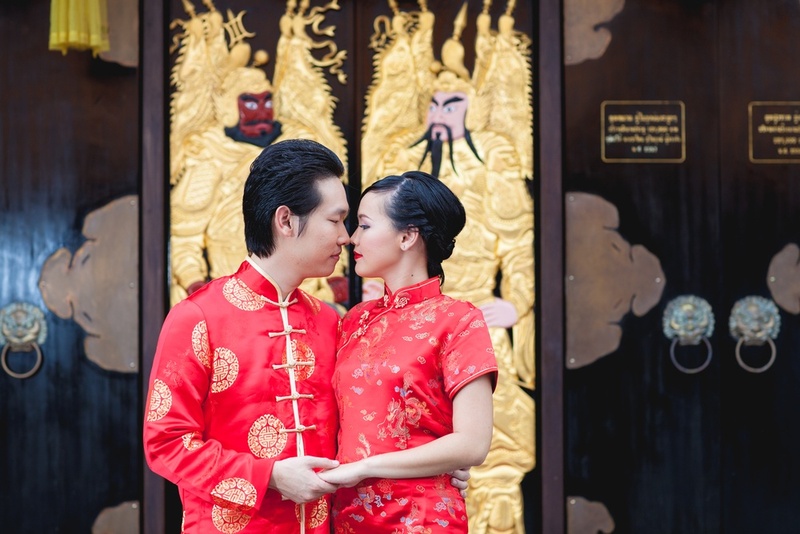 Every country in Asia has it’s own unique wedding traditions based on the culture, religion, and rich history of the area. However, the engagement ring was not a feature in many of those cultures until very recently, in large part due to the rising influence of Western countries. During ancient and medieval times, it was common for both men and women to wear rings decorated with gemstones, even diamonds, for a variety of purposes. These rings included Chinese archer’s rings and the ornate signet rings worn by fashionable women of the Ottoman court. However, engagement rings as we know them didn’t appear until the 1940s. 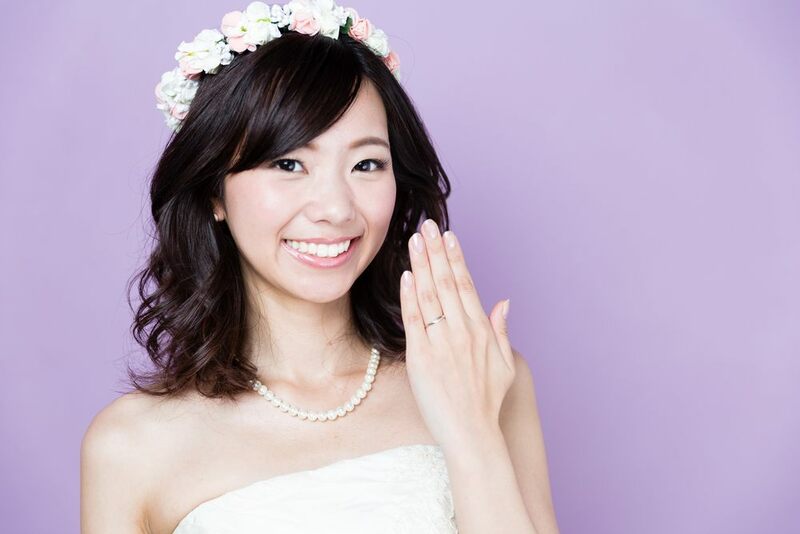 In Japan, engagement rings are popular. Despite being a largely non-religious country, a Western-style Christian ceremony is the most popular among modern brides; more traditional brides go with a Shinto wedding, which includes exchanging three sips of sake rather than rings. While dazzling diamonds and white wedding gowns have become the norm, men opted away from expensive diamonds when the economy sunk in the late 1990s; some eschewed the engagement ring completely. Go big or go home! In China, engagements are next-level moments. China makes American proposals and Prom-posals look sedate! A piece in The Atlantic detailed the amazing stories and great lengths some future grooms took to arrange the perfect engagement. Think a fleet of luxury cars arranged in a heart shape. Or a love note spelled out in hot dogs! And the ring? The ring better be up to the bride’s standards! Last year one bride-to-be rejected her suitor because the diamond was too small (She eventually gave in, once he agreed to increase the ring size to one carat). Part of this is due to China’s now-defunct one-child policy. In Chinese culture, baby boys were preferred. That means there are now 30 million more men than women in China… and that means a lot of eligible bachelors may never find a bride. To get the girl, the men are going all-out. According to the site Thailand Life, getting married is a bit complicated in Thailand. To get engaged, a couple promises to marry in a ceremony which includes a deposit for the family. Engagement rings may be worn and exchanged. 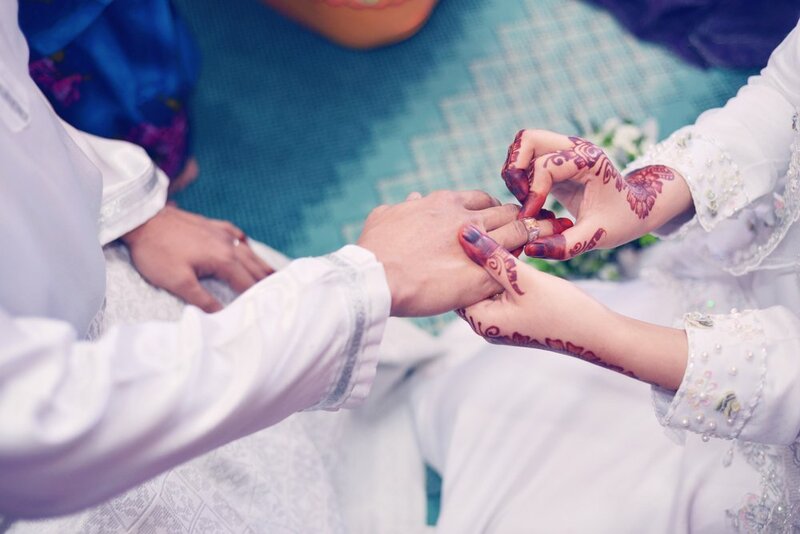 In India, elaborate engagement ceremonies are tradition, although what dictates that ceremony varies by region, and on whether the couple is Muslim, Hindu or Christian. 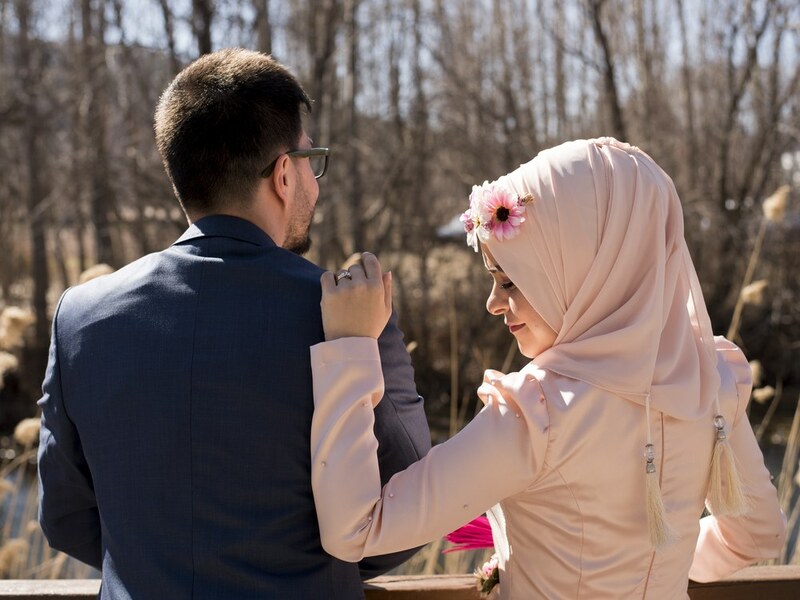 Muslim couples include a ring exchange during their engagement ceremony, known as Mangni. The Sikh tradition includes the presentation of a ring to the future groom by the bride’s father. For many Hindu sub-traditions, a woman’s wealth went to her husband, but her wedding jewelry was hers to keep, so valuable and precious jewelry was given to her by family and friends before her wedding. Perhaps the most popular and widely-used wedding ring in India isn’t worn on the finger at all, but on the nose! Beautiful, bejeweled nose rings are commonly worn by Indian brides as part of their wedding jewelry. In some regions, a girl’s nose is pierced as soon as she is of marriageable age, while others are pierced upon their nuptials. Engagements in the Middle East include bands worn by both the future bride and groom. Unlike Western customs, however, the rings are worn on the right hand and then placed on the left hand on the wedding day (or even before). Future brides may also wear a diamond engagement ring or even an eternity ring. While engagements in the United States often feature the need for a diamond engagement ring and a well-designed proposal, traditions may nonetheless vary greatly in other parts of the world. While Japan’s economy impacted engagement ring investments, outrageous proposals in China win the “yes!” However, ring or no ring, the love behind the promise is the most important sentiment of all.